If you’re having problems with chronic migraines, you’re not alone. Almost 40 million Americans suffer from migraines. Migraines come in many different forms, but the one thing they have in common is their ability to make you feel terrible. 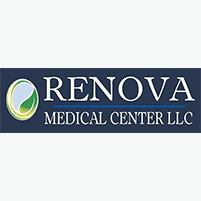 At Renova Medical Center we specialize in helping his patients in the Columbia, Missouri, area find relief for a better quality of life. Don’t live with migraine pain any longer. Call Renova Medical Center, or schedule an appointment online. Migraine attacks can last anywhere from several hours to several days, and chronic sufferers can experience 15 or more migraines a month. More often than not, women suffer from migraines 85% of the time, but they can affect any gender at any age. How is a migraine different from a headache? Traditional headaches are tied to tension in your neck and shoulders. They’re usually responsive to over-the-counter medications, as well as stretching exercises. Migraines are a different beast in this regard because they’re a neurological condition, and typical headache medications have little to no effect on them. Since migraines are associated with certain stimuli, treatment typically is a multi-pronged approach that addresses trigger avoidance, as well as spot treatment. Craniosacral therapy is gaining in popularity as a natural way to treat migraines. During this therapy, we apply a gentle pressure to your skull to promote movement of your cranial bones. In doing so, we stimulate your cerebrospinal fluid, which restores a better balance to your nervous system. Using chiropractic techniques, we manipulate your cervical spine (your neck) to correct any misalignments that may be blocking your body’s systems from flowing freely. In correcting these blockages, your surrounding tissue also benefits from improved circulation. This treatment is designed to relieve tension, which adds to migraine pain. With this therapy, we take a preventive approach to your migraines by counseling you on avoiding the triggers and situations that cause them in the first place. If migraines are wreaking havoc on your quality of life, call Renova Medical Center, or book an appointment online.